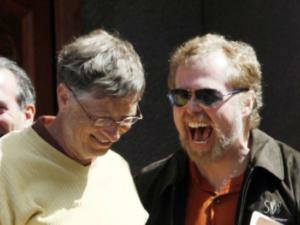 THE world’s biggest patent troll, Intellectual Ventures, recently received yet more subsidies from Microsoft. Microsoft may think we’re all idiots, but it’s easy to see who runs this troll (former Microsoft manager and Bill Gates’ close friend and partner), how the troll attacks practicing companies through thousands of proxies (literally thousands), who subsidises it (Microsoft and Bill Gates, who is working closely with this troll), and who the litigation targets are (the troll has collected more money from Microsoft and it will never target Microsoft, which is a spiritual ally). This is why we often refer to this troll, one among several Microsoft-associated trolls, as Microsoft’s and Bill Gates’ patent troll. It is no exaggeration and not a misnomer. We have watched this troll closely for about 7 years now. According to this report, “Intellectual Ventures (IV) is the world’s biggest patent-licensing company and boasts of having collected tens of thousands of patents since it was founded in 2000. It’s raised about $6 billion from investors over the years, and to recoup that money, it started filing lawsuits over patents a few years ago. In 2013, it launched a new salvo, filing 13 lawsuits against major US banks, including Bank of America, JP Morgan Chase, and Capital One. Notice the role of Motorola there. It is possible that this troll can even pressure Motorola into a patent deal with Microsoft (appeasement by peer). It is not improbable. So this one patent troll lost this time around, but Microsoft (and Bill Gates) has other patent trolls with whom to attack Microsoft competitors and potential sources of income (through patent shakedown).